In the age of the Women’s March, #metoo and countless stories of women’s struggles and strengths, and in the spirit of February as Black History Month, let’s reflect upon the lives of unsung African-American women who helped build Jacksonville. A look inside of the Central Hotel’s restaurant. Courtesy of the City of Jacksonville Historic Preservation Section of the Jacksonville Planning and Development Department. 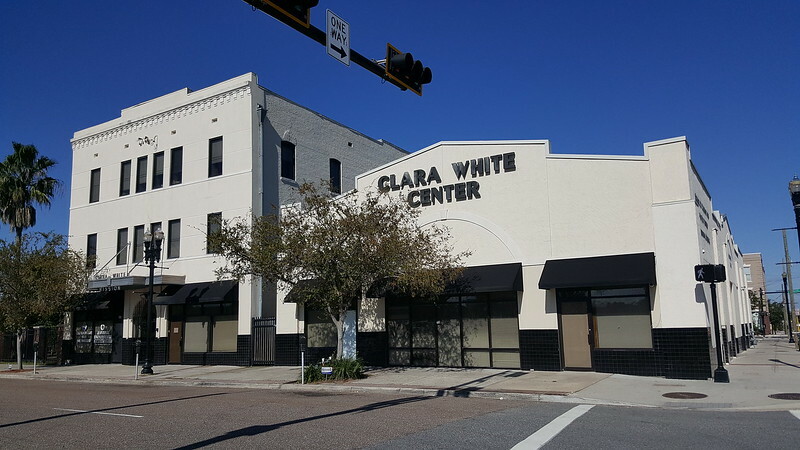 Names like Eartha White and Sallye Mathis are known to people familiar with Jacksonville history, pioneering African-American women who broke from traditional molds for women of their time and lived life outside pre-defined expectations. Their lives are fascinating, rich and worthy of more exploration and storytelling. But what about African-American women who kept the city going that we don’t hear about? Like entrepreneurial Katie McCray, Alice Kilpatrick, Euretha White, Margaret Thompson, Jennie Livingston and Ludie Jefferson? 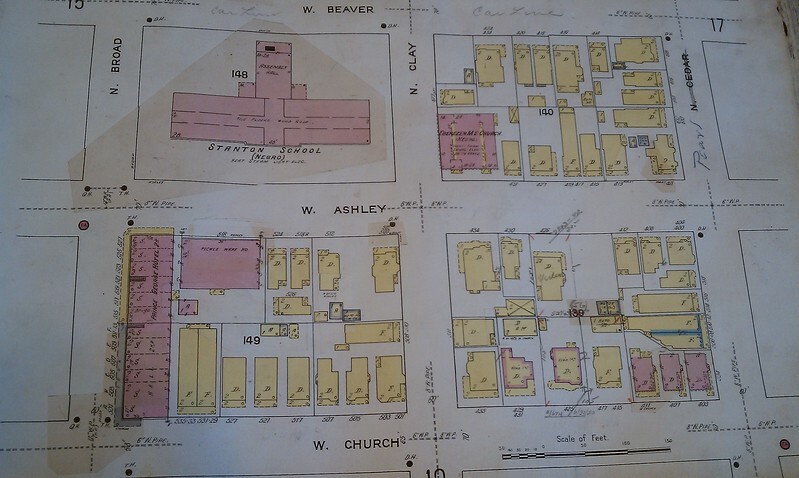 This early 20th century Sanborn map identifies the location of Katie McCray’s long demolished Prince George Hotel. While Gilded Age and Progressive Era Jacksonville was filled with grand hotels, African-Americans weren’t allowed to stay in them. As the city developed following the Great Fire of 1901, accommodations for African-Americans were difficult to find. As a result, Katie McCray established the Prince George Hotel at 521 Bridge St. (now Broad), becoming one of the earliest hoteliers for African-Americans. First opening in 1907 as the Hotel Holloway, McCray took over from former owner Charles E. Williams in 1909. 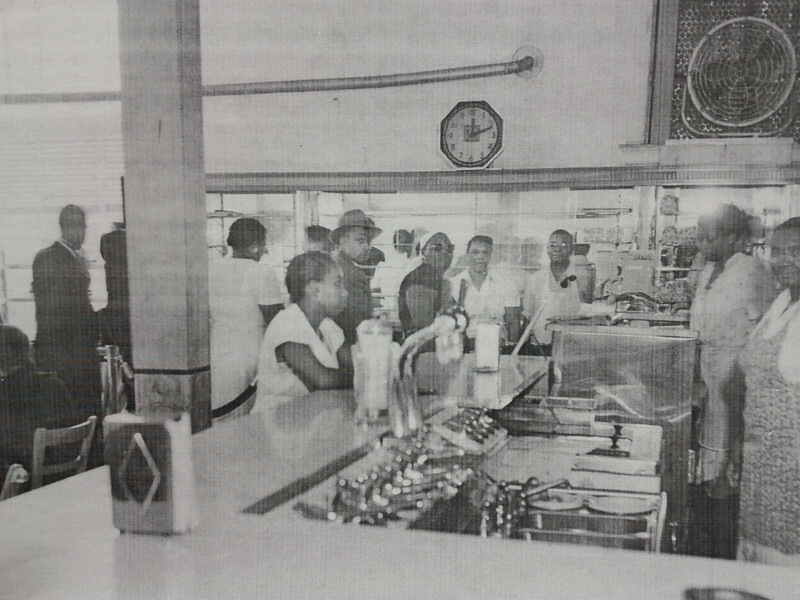 It was marketed as the largest and finest hotel in the south for African-Americans. Jennie Livingston operated the Hotel Palm in the upper levels of the Globe Theatre before the building was acquired by the Clara White Mission. McCray’s hotel was joined by Margaret Thompson’s Eggmount Hotel, Euretha White’s Central Hotel, Jennie Livingston’s Hotel Palm, Alice Kilpatrick’s Richmond Hotel and Ernestine Hayes’ Hotel Hayes, suggesting this industry had become an early business network for African-American women. Their investments transformed a sleepy Broad Street into LaVilla’s central business district and Ashley Street into a ragtime, jazz and blues cultural epicenter. 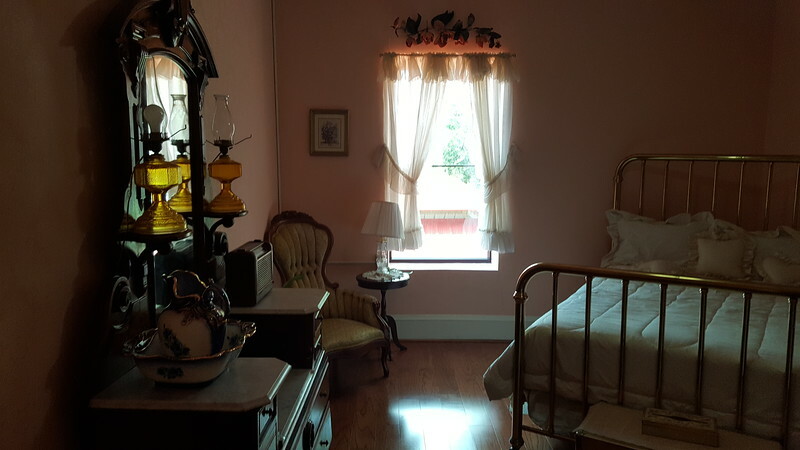 A room in the Clara White Museum where Dr. Martin Luther King, Jr., Mr. and Mrs. Booker T. Washington, Dr. Mary McLeod Bethune, James Weldon Johnson and his brother John Rosamond Johnson, and first lady Eleanor Roosevelt once slept. The Eggmount and Hayes became part of Charlie Edd Craddock’s black entertainment empire, and the Palm became the site of the Clara White Mission. Some of the historically significant people who visited include Booker T. Washington, Mary McLeod Bethune, James Weldon Johnson, John Rosamond Johnson, Martin Luther King Jr., Ray Charles and Eleanor Roosevelt.